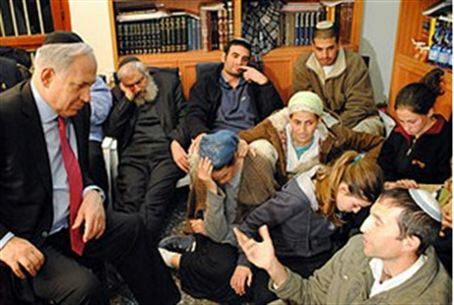 Prime Minister Binyamin Netanyahu visited those mourning the five slain members of the Fogel family. “We will build our land,” he said. Prime Minister Binyamin Netanyahu visited the mourning relatives of the slain members of the Fogel family on Sunday evening.